Most of us have played and surely have enjoyed the first ‘Avalon’ game created by the most popular online gambling software developer Microgaming a few years ago. This time 3D magic adventure sequel Avalon II: The Quest for the Grail was created for all legends and adventure fans. They are invited to experience the famous saga in ways they never have before. So get ready for the fabulous story, medieval music and atmosphere. The King Arthur’s epoch of powerful magic and knights is what one can expect from this game and what he will get. As you remember the legends say that long-long ago there was a fabulous island, Avalon. This name is associated with King Arthur and invites players to go in search of the Holy Grail hidden somewhere there. The main characters of the Arthurian legends: Sir Arthur himself, his wife Guinevere, Black Knight, Merlin and Morgan will guide the player though the game. Besides, characters will come alive when the symbols form a winning combination like 5 or 4 of a kind. And do not forget that the Grail is the sacred bowl giving all sorts of blessing and benefits. It is a Scatter symbol in the game and searching for it will keep you delighted for a long time. In fact, the players who like the adventures and tried out the Thunderstruck II slot with its ancient gods and heroes will feel the same rush here. Avalon II slot belongs to five reel online slot machines and allows 243 ways-to-win. All basic Microgaming slots features are there in the game. 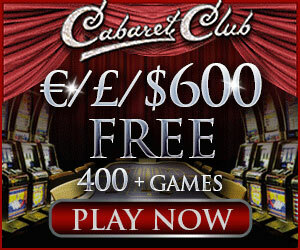 With a modest bet of 0.30 $ only any player can join the game and may be take part in all the exciting bonus games. Players may try out eight different bonus games or let us call them quest missions. The missions are launched if three, four or five Grail Scatter symbols appear anywhere on the reel. Still, every time the mission is completed the gamblers will return to the basic game. These missions offer the player to join in so many different games within one slot machine. To begin with it will take the form of a dice roll bonus game. The next will give a chance to choose the Wild feature. The gamblers will also be delighted to play a Rolling Reels bonus game and finally of you are on the Isle of Avalon – a Wheel bonus game. And one more surprise we should not forget to mention – if Merlin symbol appears anywhere on the reels the players will be offered a multiplier or a random cash award. So waste no time since the main prize is waiting for you as the best casinos powered by Microgaming like the Casino UK, Major Tom, 32 Red and so on.